"I should have planned this evening a little better" meets "I really need to talk to you." 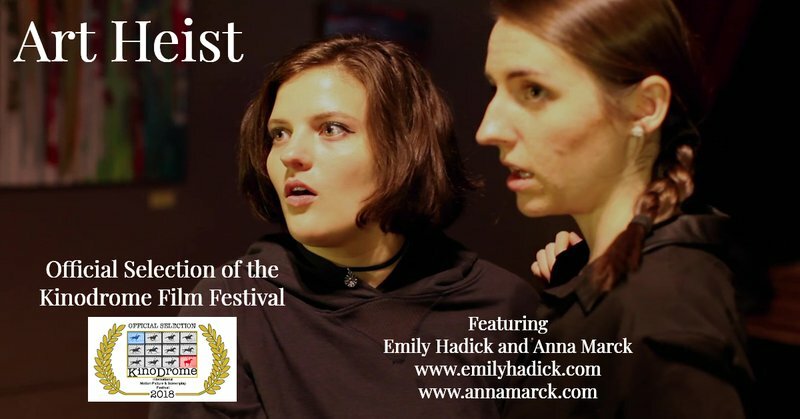 One of my main motivations in making Art Heist was a chance to get Emily Hadick together with her acting friends from college, and it was a logistical nightmare to bring them all together. Possibly the most difficult was to get Anna on the set, because she was living in Chicago and arrived some time after midnight in Lansing. They both arrived bleary-eyed but were consummate professionals during a long, long day of shooting.